Losing a pet is very hard. 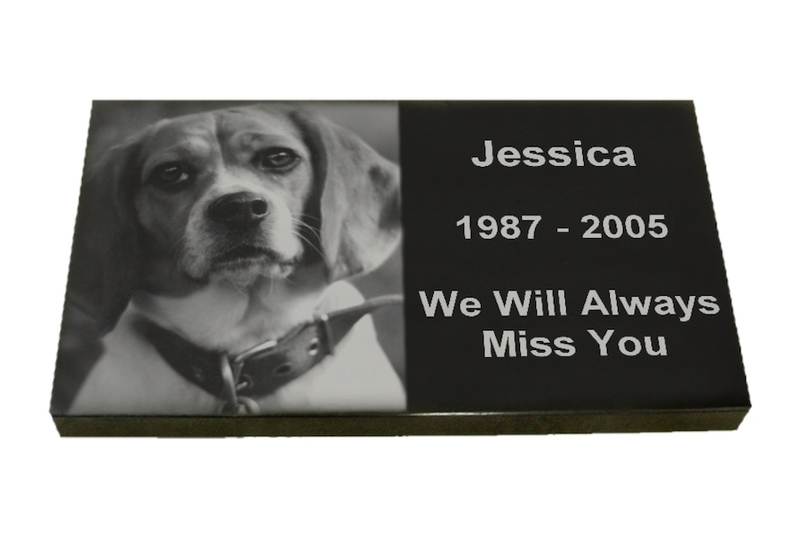 Treasure your friend forever with a pet memorial. Exquisitely crafted of solid black laser etched granite, each stone comes with a nicely polished finish. All the memorials are 2" thick. You may also give us instructions to remove unwanted parts of the picture if desired. Simply add these comments when emailing us the scanned picture after placing your order. You can also mail us the original photo, but we cannot be held responsible for lost photographs. Proofs available within 5-7 days of submission. 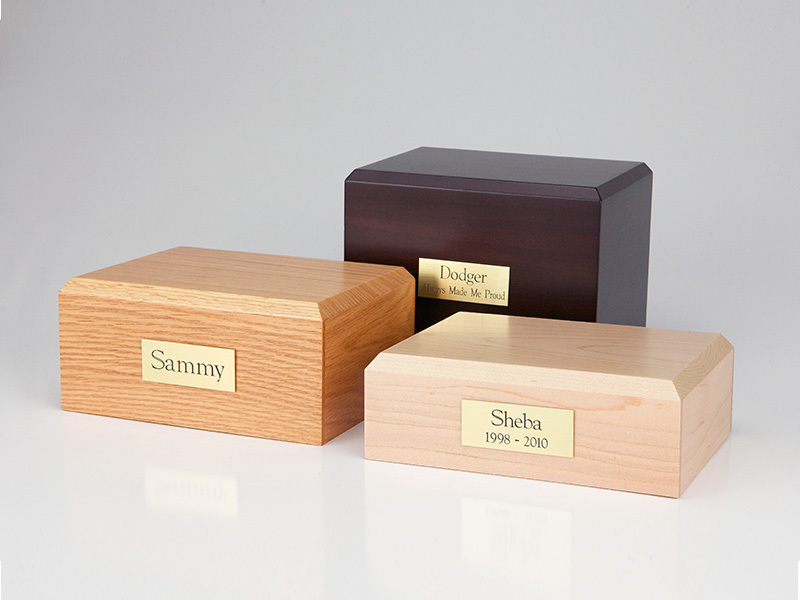 Allow 2-3 weeks from receipt of photo/scan to receive your memorial. We accept most of the widely used formats ( .jpg, .tiff, .bmp, .png). We recommend 300 dpi in 4 inch. x 6 inch. size. You can email a high resolution file of your favorite photo. If at all possible DO NOT send a picture of a picture. This is very hard to process for the laser engraver. Please email to [email protected] anytime after you place your online order. Please, state your Order Number (provided to you by email immediately after completing the order) and provide any special instructions (such as crop out house in background etc.) should you have any.